DIN 41652 – better known as the D-subminiature connector gets its name from its shape, which is reminiscent of the letter “D”. The term subminiature refers to the size of the connector, what was relatively small for the year 1952 in which it was developed. 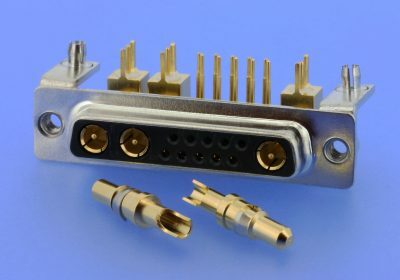 For decades, D-Sub connectors have been serving as interface components for seamless data transmission and they connect computers with peripheral devices such as monitors, printers, scanners, etc. as standard. Thanks to their simplicity of use, reliability and long service life, they occupy an important position in the field of connectors. Furthermore, a wide range of possible combinations and individual designs result in new application fields that facilitate their use outdoors – for example in industrial automation, medical electronics, mechanical and plant engineering, outdoor telecommunications or industrial measurement and control systems. W+P offers a broad product palette of D-Sub connectors, hoods and an equally wide range of accessories. As such, robust components in accordance with protection class IP67/68 enable use in harsh environments and likewise facilitate a range of power/signal contacts or D-Subs with insulation displacement connection. The connectors fundamentally differ from each other on the basis of quality class, number of contacts, type of contact, type of connection and protection class. They are available as standard with 09/15/25/37/50 contacts (HD-versions may differ), peculiarities are listed in the respective descriptions of the series. Differentiation is made between solder cup, solder pin, round contact or wire wrap pins; straight or right-angled versions; single and dual port variants; soldered or SMT versions and many more besides. Data sheets and representative samples are available free of charge. The photo shows a product example.